Regular exposure to certain disinfectants, such as bleach, may be harmful to your respiratory health. We know that cleanliness is important, but at what price? It’s bad enough that antibacterial soap is contributing to the growing drug-resistant bacteria dilemma, but now new research suggests that using too much bleach may increase the risk of developing chronic obstructive pulmonary disease (COPD), a serious and often deadly lung condition. A recent study found that nurses who used disinfectants to clean surfaces at least once a week had a 24-percent to 32-percent increased risk of developing COPD over the course of eight years compared to nurses who used these products less frequently. This link remained even after researchers made adjustments for other COPD risk factors such as age, smoking status, body mass index, and ethnicity. “Our findings provide further evidence of the effects of exposure to disinfectants on respiratory problems, and highlight the urgency of integrating occupational health considerations into guidelines for cleaning and disinfection in healthcare settings such as hospitals,” explained study author Orianne Dumas, a pulmonologist at the French Institute of Health and Medical Research, in a statement. During these eight years, 663 of the nurses were diagnosed with COPD. 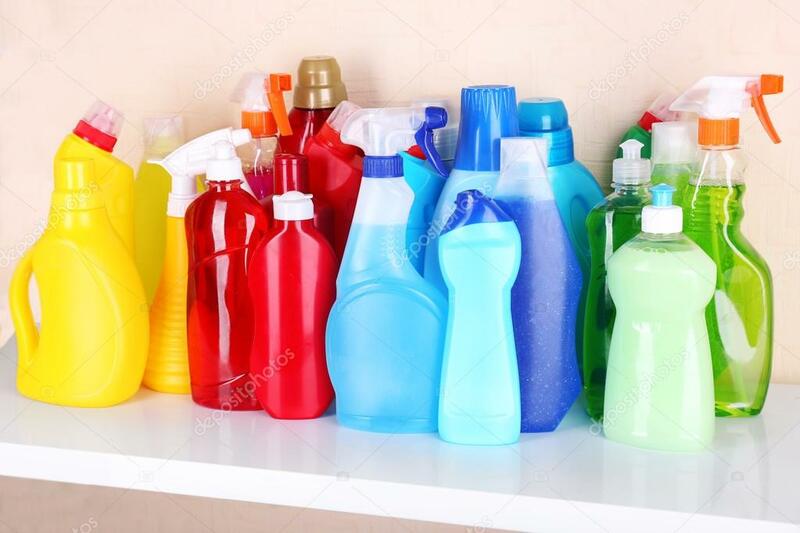 Of the original group, more than one-third used disinfectants to clean surfaces on a weekly basis, and those in this group were most likely to develop COPD by the end of the study period. The study identified glutaraldehyde, bleach, hydrogen peroxide, alcohol and quaternary ammonium compounds (also known as “quats”), as the main chemicals linked to COPD risk. COPD is an umbrella term to describe a number of progressive lung diseases including emphysema, chronic bronchitis, and some forms of asthma, The COPD Foundation reports. According to the American Lung Association (ALA), some chemicals in cleaning products, such as ammonia and bleach, are already known to contribute to respiratory problems. In addition, accidentally mixing a product containing ammonia with one that contains bleach can produce a dangerous gas that can be deadly if inhaled. For this reason, the ALA, as well as other health organizations, recommends minimal exposure to these products. However, this new study is the first to show a link between cleaning products, and specifically COPD, among healthcare workers. The study investigated only the link between cleaning product use and COPD in nurses, but that’s not to say other professions wouldn’t be affected. For example, these disinfectants are also used by domestic cleaners and people who clean their own homes. Dumas told Newsweek that in addition to nurses, other healthcare workers doing cleaning, as well as non-healthcare workers who are exposed to cleaning products may also be at similar risk. These results are still preliminary, and show only that a link exists between using certain cleaning products and increased COPD risk, not why this link exists. Dumas told Newsweek that she hypothesizes oxidative stress and neutrophilic inflammation caused by inhaling cleaning products may have a role in COPD pathogenesis, but more research is necessary to understand the precise agents that may be harmful. Still, this isn’t the first time researchers have found ties between disinfectants and respiratory damage. The results are strong enough to warrant caution when cleaning. Updated| This story has been updated to add quotes and additional information from Dr. Orianne Dumas. Are Your Cleaners Contributing To Unhealthy Conditions? Do You Seriously Want to Take Your Health Back? Liquid Green Products is the industry benchmark for environmentally safe cleaning products. Our products offer a significant competitive advantage over alternative or conventional brands, in terms of efficacy and safety. We tailor our products to be industry specific, be it home care, automotive, airline, marine, agriculture, food and beverage or any other cleaning challenge warranted. Our revolutionary technology produces the single most effective range of environmentally friendly and humanly safe cleaning products. Copyright © 2019 Liquid Green Products Inc Blog - All Rights Reserved.